The games will take place at the Emirates Stadium in Glasgow on Wednesday 6th February and Thursday 7th February 2019. The event opens each day at 11.00 a.m. till around 5:30 p.m. 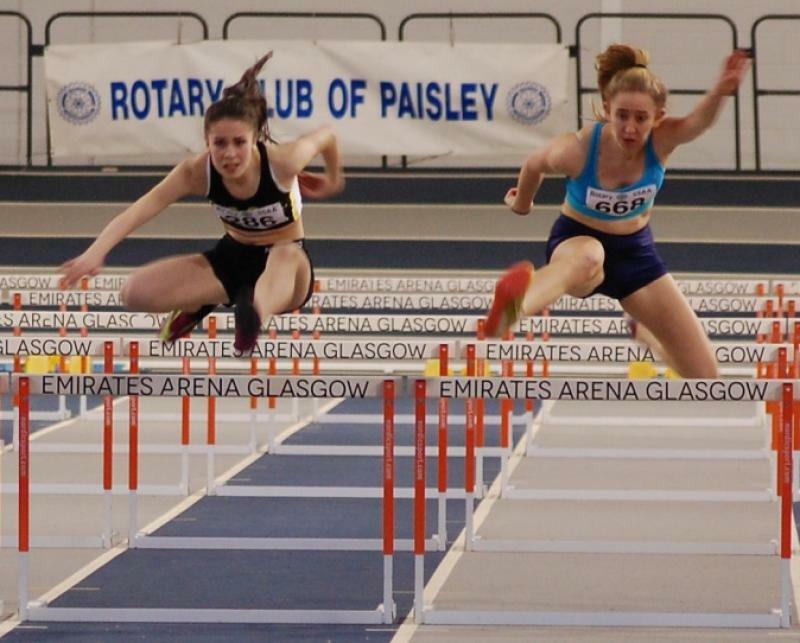 The Scottish Rotary Districts will be sponsoring the championships for the Fifth year in succession and the object of the exercise is get as much publicity as possible and to have a strong Rotary presence at the arena during the two days. Rotary will have publicity at the arena in the form of banners and publicity materials and demonstrations of Rotary activities such as Shelter Boxes. Rotary personnel will be on hand to talk to SSAA competitors and their families, teachers and friends. Photographs will be taken of the presentations to the winners (1st, 2nd and 3rd) of each event at the podium and against the Rotary wall with one or more DGs and/or PDGs if no DGs available. These photographs will be uploaded to the SSAA web site so they can be seen or downloaded by Rotary Clubs any interested parties. All Rotarians are very welcome to come along and support the event. All you need to do is turn up wear something Rotary and enjoy the event that you have helped to sponsor. Remember you can bring along friends and family as well, it’s a fantastic day out and there is no entrance fee. 3. News Release by Rotary Clubs to local Press, social media and local High Schools. Just e-mail/phone your local school contact to let them know that your Rotary Club is proudly supporting the event and offer some information for their School newsletter.